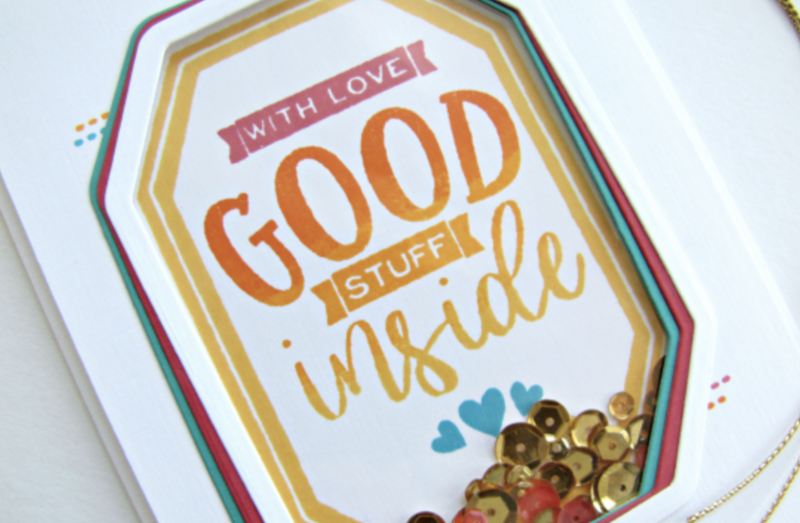 Hi, it's Emily here sharing a card that features the Good Stuff stamp set and die that released in the Winterhaven collection. 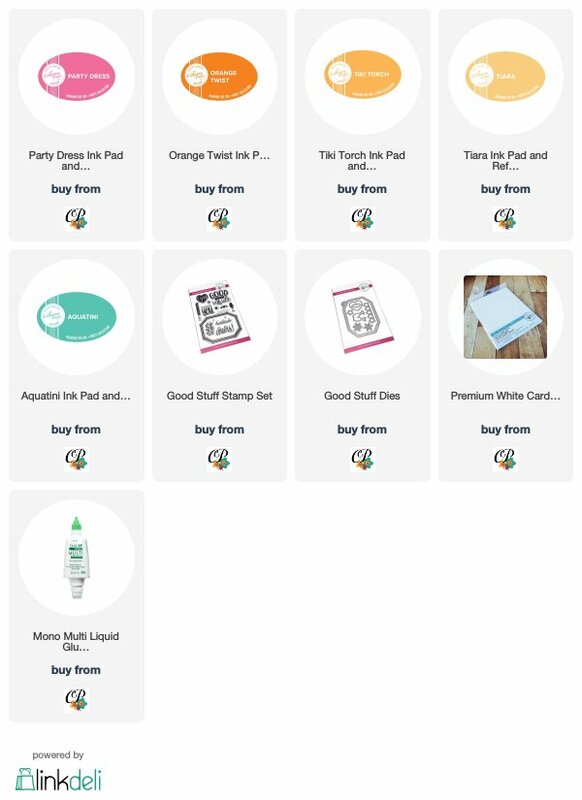 These products are so fun to create with and perfect for making shaker cards. Here are the steps to create this card, in case you'd like to recreate it! 1. Trim a piece of white cardstock to 5-1/2 x 8-1/2 inches, score at 4-1/4 and fold in half. 2. Trim a panel linen white cardstock and die cut using smaller window from the Good Stuff Dies. 3. Using the window and a pencil, trace around the inside of the window for stamp placement on the card base. 4. Create an ombre inking for the largest sentiment in the middle, from the Good Stuff Stamp Set, using Orange Twist, Tiki Torch, Tiara inks. 5. Stamp banner sentiment above using Party Dress ink. 6. Stamp three hearts below the main sentiment using Aquatini ink. 7. Using the dashed line image, stamp two sets of lines as shown on the card. 9. Place pink and gold sequins on stamped card base and adhere panel. 10. Die cut three outline tag shapes using both of the tag dies, glue together, attach string, and adhere to front of card using Scor-Tape. Thanks so much Catherine for having me today. 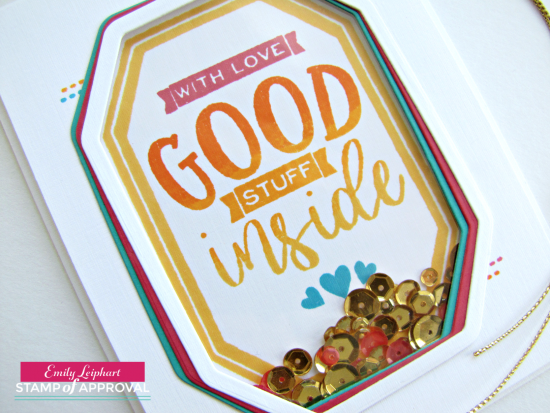 I hope you'll try a shaker card with the Good Stuff stamps & dies!